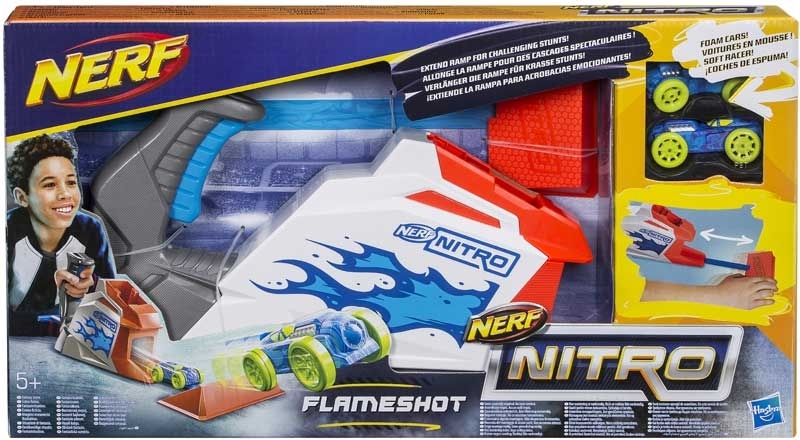 Ignite awesome car-blasting action with the Nerf Nitro FlameShot set! 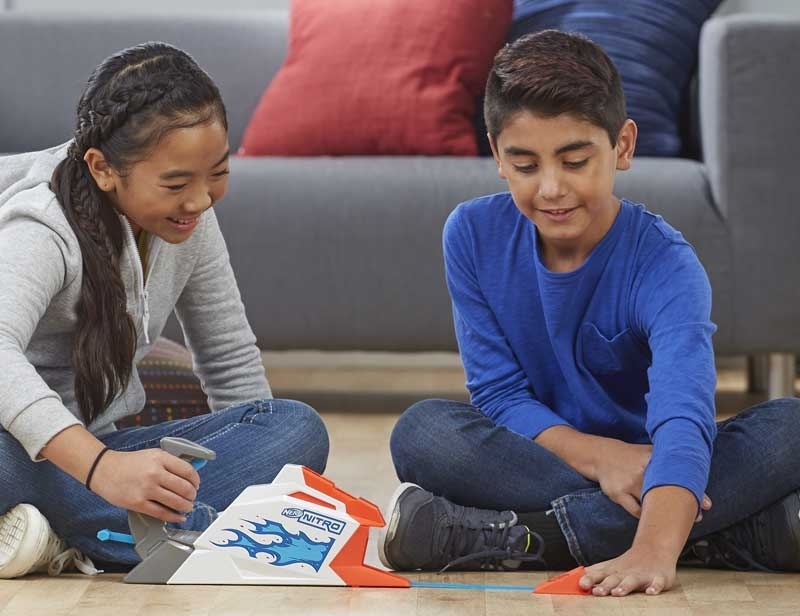 The blaster comes with an attachable ramp that extends to create challenging stunts. 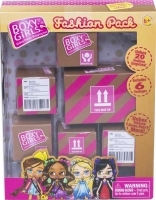 The foam body cars burst straight out of the blaster and scorch along the length of the ramp to leap into sizzling airborne jumps. The ramp detaches from the blaster to design even more spectacular stunt shots. 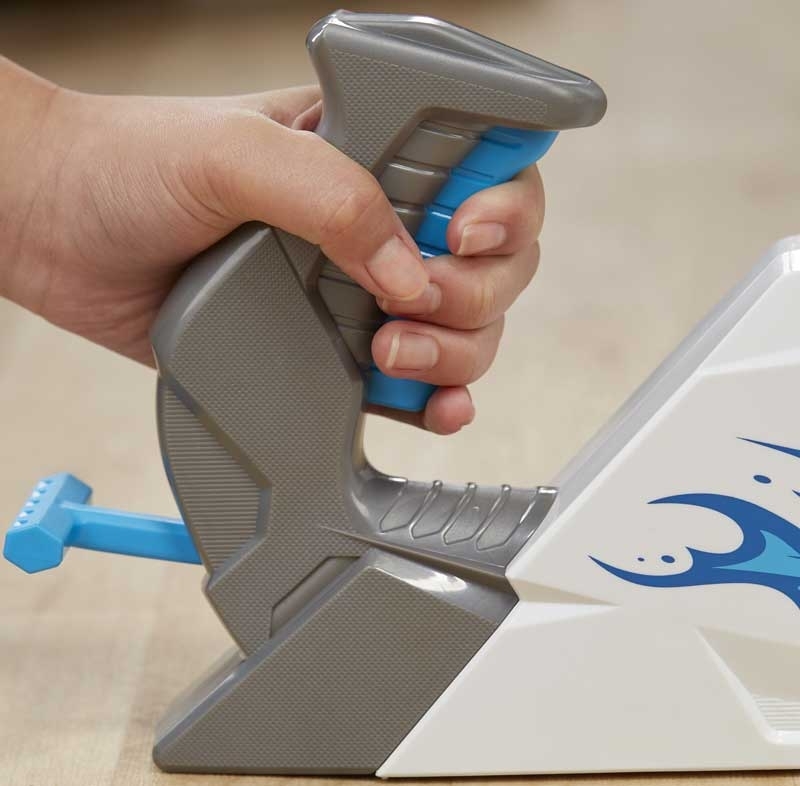 Double up on the exciting escapades with this blaster that fires 2 foam body cars in a row before its time to reload. The blaster is decorated with bright blue flames and the ramps extension rail resembles a streak of blue fire. 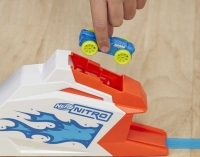 The set includes 2 foam body cars that have blazing blue bodies and fiery orange wheels. To fire each car, pull the handle back and pull the trigger. 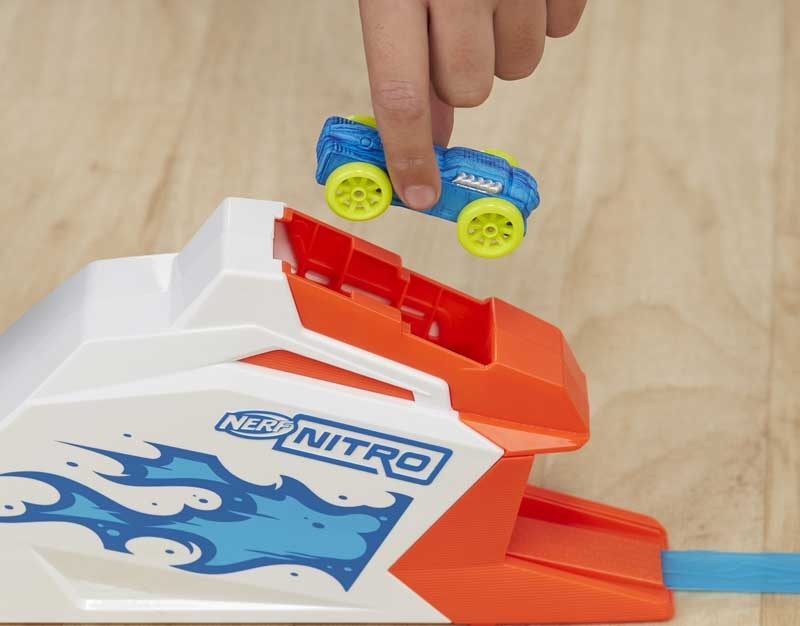 With the versatility of a ramp that attaches and extends, Nitro drivers can start their imagination engines and cruise into all kinds of creative stunt adventures!